There’s no need to rub your eyes, you read it right! In Finland you’re allowed to walk, bike and ski wherever you want, from forests to fields, beaches and private roads, no matter who owns the land. Even if you see a barrier across the road, thanks to freedom to roam, you are allowed to go around by foot, bicycle or skis. Even so you should keep in mind you’re not allowed to walk or ski on anyone’s garden. Neither are you allowed to take a shortcut through a field where crops are growing, an area with nesting birds, or any other area where you might cause any kind of significant damage to delicate nature. It’s also known as common sense. 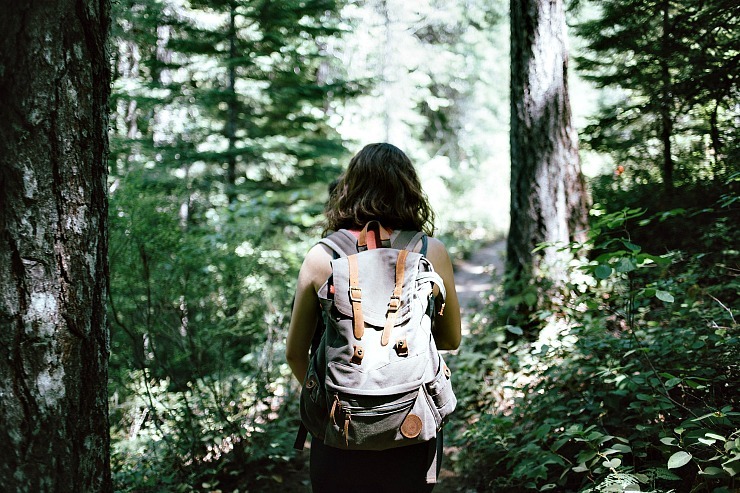 A 20-minute walk in the forest has plenty of health benefits. It lowers your stress level and blood pressure, it makes you feel more cheerful and less depressed… And in Finland, 20 minutes is enough to get a vitamin overdose with all the wild berries you manage to eat in that time. Just kidding, eat all you want! The same rule applies with wild mushrooms. 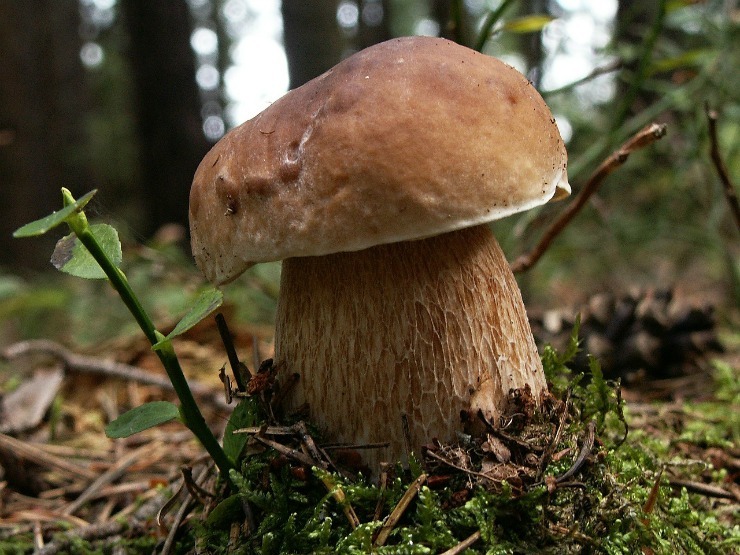 There are approximately 500 edible species growing in Finnish forests, with 200 of them being excellent for eating. However, nature can be cruel; As many as 1,500 species are not so great, many of them even being poisonous. So make sure you’ll only pick mushrooms that you know. As we Finns tend to say, you can eat any mushroom you want, but some of them you can only eat once. If you get really excited with picking berries and mushrooms, feel free to earn a little extra. In Finland you’re allowed to sell all the self-picked wild berries and mushrooms completely tax-free! That’s a great way to earn a little pocket money to be able to stay in Finland a few more days! Bear in mind that even if you are allowed to pick all the berries and mushrooms you want, you’re not allowed to take branches from trees, not even from the fallen ones, without the landowner’s permission. No matter how badly you’d love to make your own birch whisk for sauna! 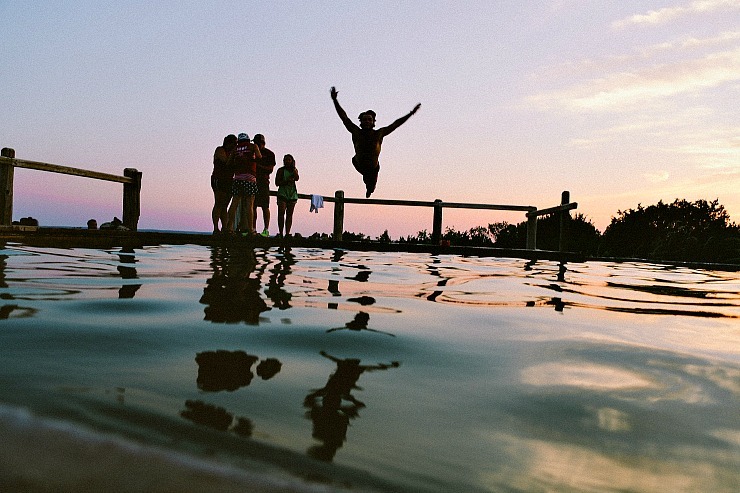 Forget diving into refreshing water in secret after dark. In Finland you’re allowed to swim wherever you want, as long as you don’t do it in a pond, lake or pool on someone’s private garden. Also on nature reserves some restrictions might apply, but otherwise you’re free to release your inner child and play in the water as much as you want. Just remember to stay safe! Even if personal hygiene is important, you should avoid releasing harmful detergents and other liquids into the water. When you, your dishes or clothes need a wash, the best way to avoid this is to take water in a separate container whenever possible and pour the soapy water on sand rather than back to the lake, river or grass. 4. Getting hungry? Go fishing! When spending the whole day out in fresh air, eventually you’ll get hungry. 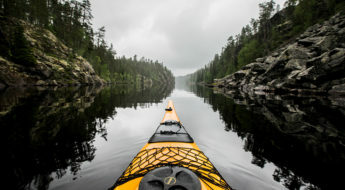 Thanks to freedom to roam, in Finland you’re allowed to fish using a simple fishing rod with hook and line anywhere you want, without a separate license or permission. 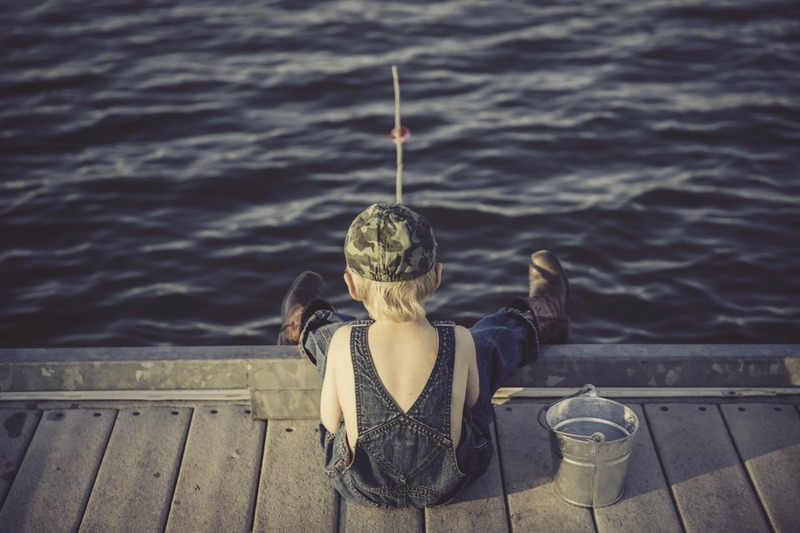 However, any other kind of fishing requires a permit. ‘How can I cook the fish I catch?’, you might wonder. If you don’t carry a portable cooker with you, as many campers and hikers in Finland do, cooking the fish might be a bit trickier, but not impossible! 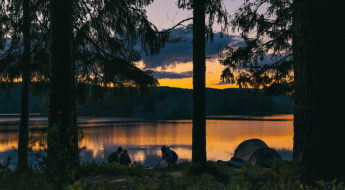 You’re allowed to build a campfire in a safe place with the landowner’s permission, but remember that you’re not allowed to kill any living trees for it. Don’t know who owns the land? Don’t worry, there is also an easier way; In Finland it’s fairly easy to find a lean-to with a dedicated campfire spot and even with dry and chopped firewood provided. 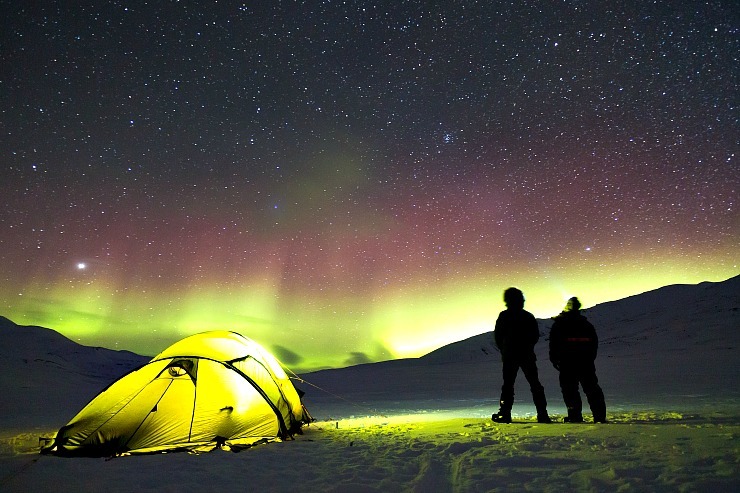 There’s no better way to enjoy the clean air and pure nature than spending a night under the stars. Finnish freedom to roam allows you to build your tent anywhere in nature, and it doesn’t cost a dime. You don’t need a permission, as long as you don’t sleep on anyone’s garden and you choose a spot that doesn’t significantly harm the surrounding nature. Remember that this rule allows you to stay at your camping spot only temporarily, so you’re not allowed to move into the Finnish woods permanently (or at least you should change the spot every now and then). In case you’re not a fan of sleeping bags and tents but would enjoy staying close to nature, you can always head to Gofinland and find yourself a comfortable cottage with a soft bed and clean bedlinen to stay in! Are you curious to find out more about Everyman’s Rights in Finland? Download pdf here! I love Finlan! Visited many times, even remote places as Rovaniemi and Utsjoki (next to Norway border). Nature is magnificent!